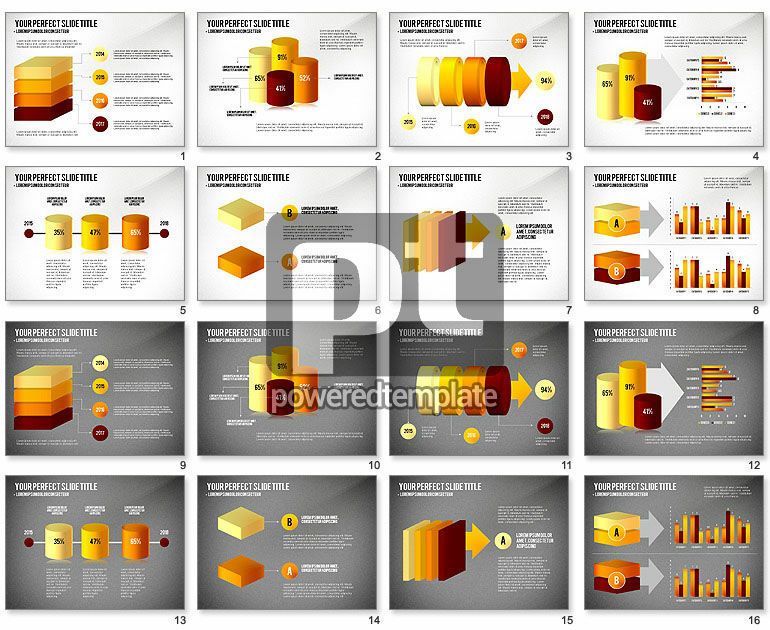 These presentation slides 49016 are complete compatible with Google Slides. Simple download PPTX and open the template in Google Slides. Such a clean and pure style of your presentation will be highly appreciated by any audience. All its 3D geometrical shapes in a beige to brown gradient with smart data driven charts will help you to represent your information in the best possible way. It may be suitable for lots of business spheres due to a quite neutral design, but it also may be of great help in industry and manufacturing.